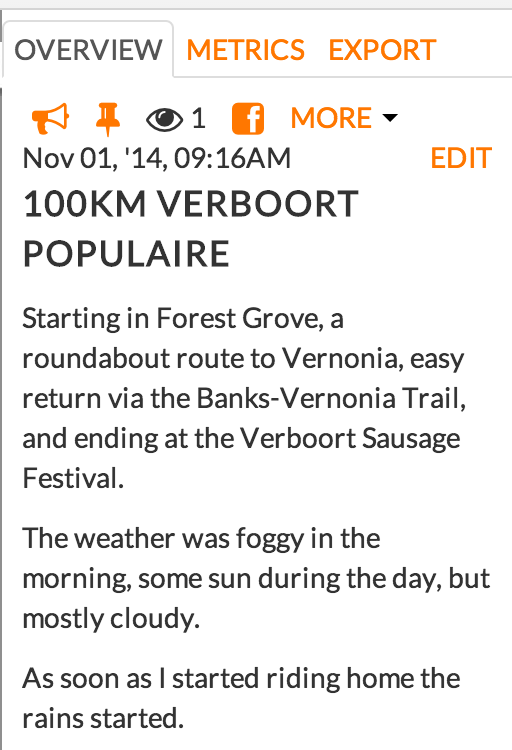 After uploading a ride from your Garmin device, or saving a ride with our mobile app (for iPhone and Android) you can add details about the ride. 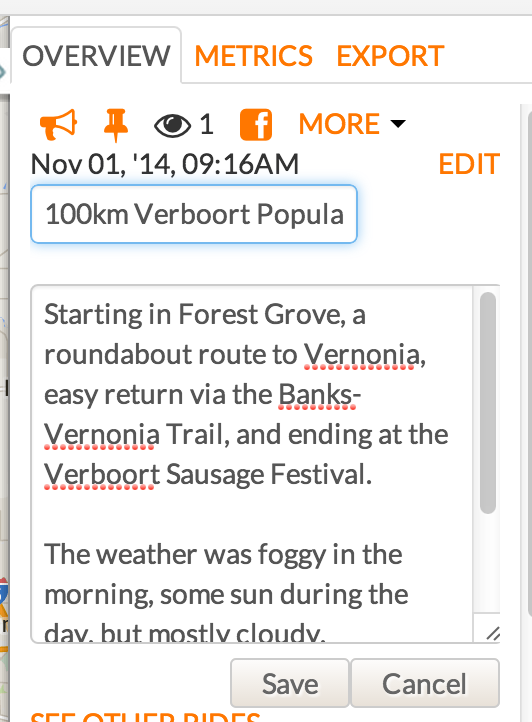 While viewing your ride, tell your story or give more details in the Description field. 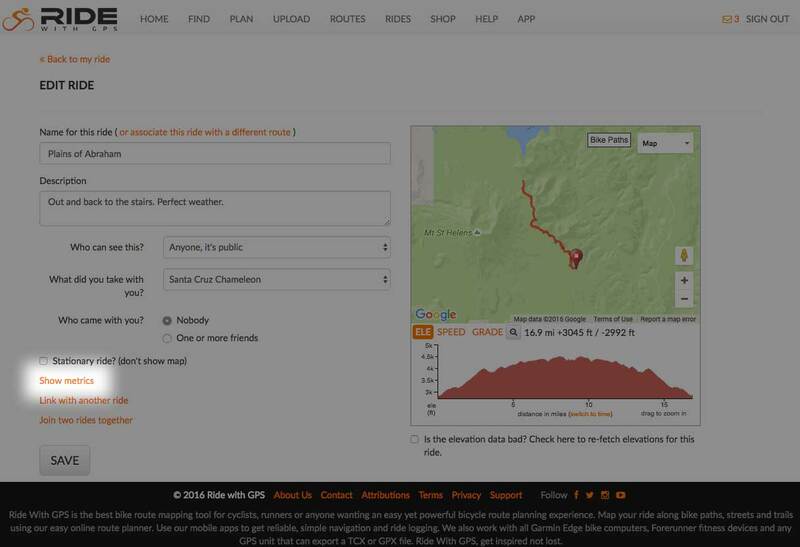 Give a ride report, weather conditions, or point out special details of a planned route. Fill in a name and description, click save when you are done. Now your ride has a name and description! 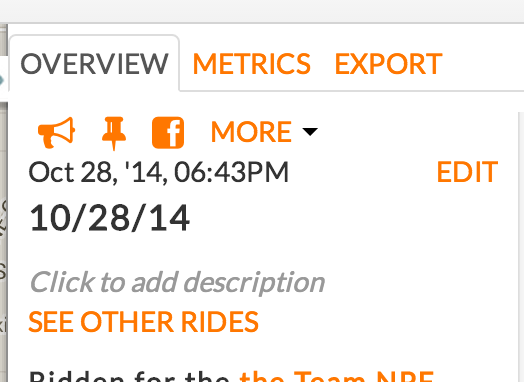 While viewing a ride, click EDIT in the right side panel to view all the available info that you can update. 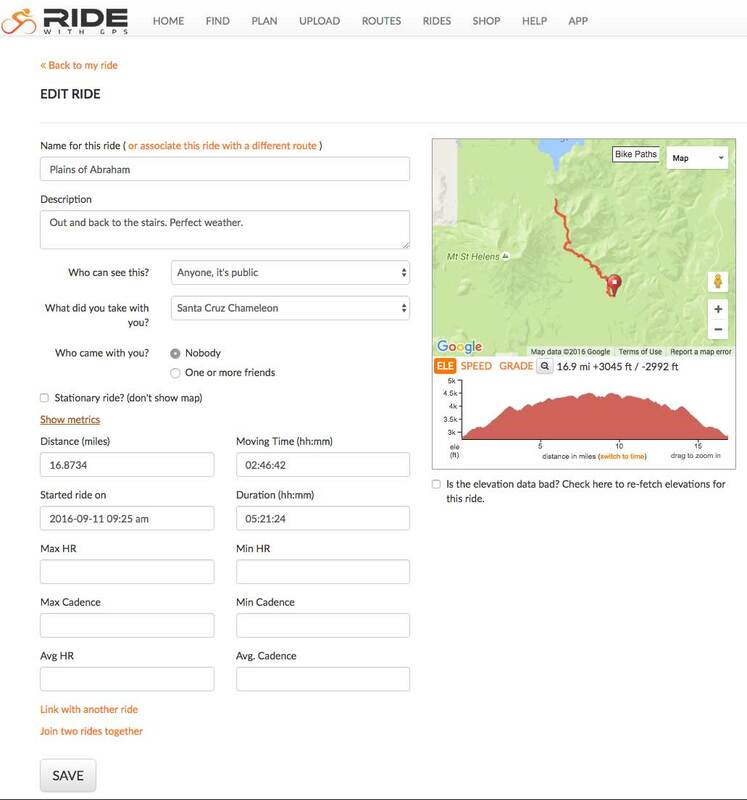 Name for this Ride: If the route was planned by you, you can select it from the list so you can refer to the route again while viewing the ride. What did you take? Select which bike you rode. Who came with you? Select which friends came with you. Who can see this? 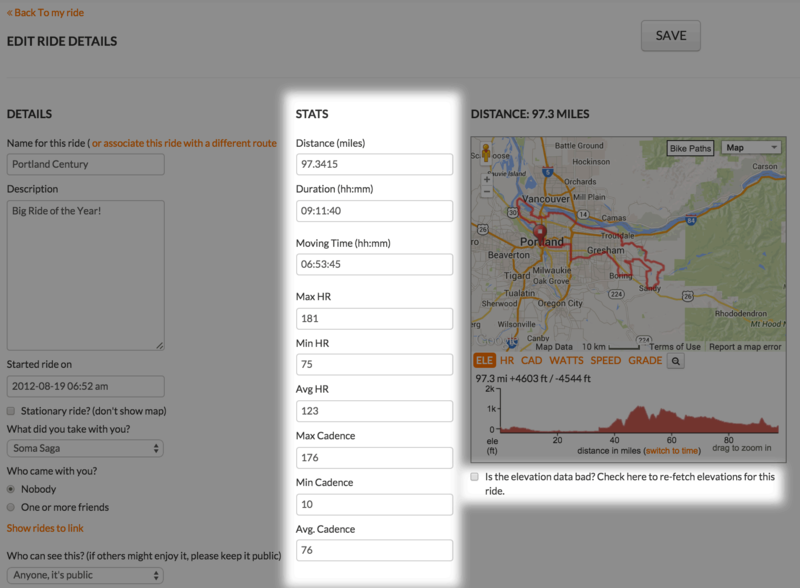 This is where you can set the privacy of your ride to be seen by only you, only friends, or everyone on the site. Editing any of the distance, or time details may have an adverse affect on your ride as these numbers are calculated by the time-stamps in your collected GPS points. If you need to change the length or distance of the ride, see our Ride Clean Up article. Is this elevation data bad? 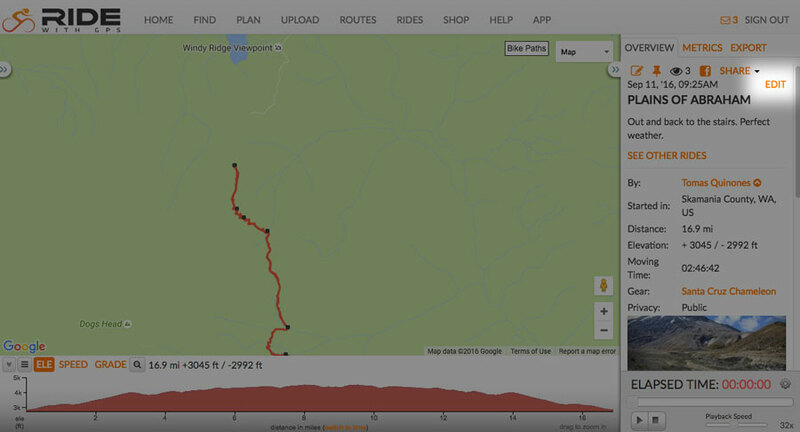 If your GPS recorded some weird elevation data you can select this to re-fetch the elevation to smooth it out. Check out the Ride Clean Up page for more details and additional ways to clean up your ride.